Bookmark this page for a weekly update on the latest gear for music, accessories and instruments available now at the UK's biggest Musical Instrument Megastore. We've got all the latest new music products for 2019 and beyond. This page is dedicated to the latest and greatest products to be announced from the world's leading manufacturers - Gibson, Fender, Roland, Yamaha, Taylor, Martin, Native Instruments, and many more. We've got everything a musician needs to master their craft, record and perform. Speak to your local, friendly PMT Store or Pre-Order here to get your hands on the latest Electric Guitars, Acoustic Guitars, Bass Guitars, Guitar Amps, Keyboards and Digital Pianos, Studio Equipment and all the latest Gear for Music! We can also special order products on request, so if you're after something you don't see on the site - give us a call. 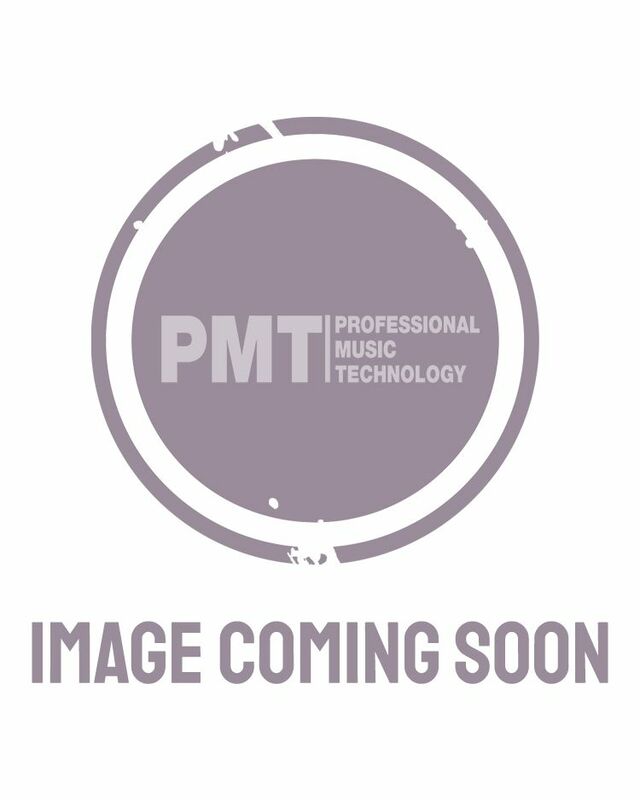 Professional Music Technology have been established since 1991 and have 15 Stores around the UK. With over 200 In-Store experts on hand for advice and demonstration, we can help you find the right gear to suit your needs. Professional Music Technology are the UK's largest supplier of Electric and Acoustic Guitars, including Fender, Gretsch, Eastcoast, Gibson, Martin, Taylor, Ibanez, Jackson and many more boutique brands. Whether it's an Electric Guitar, Acoustic Guitar, Semi Hollowbody Guitar, Classical or Electro Acoustic Guitar you need, we've got them all. Each available to try before you buy in-store! For the low end junkies, we've got a massive catalogue of Bass Guitars, Amps, and Accessories. Shop for big brands like Ashdown, Ibanez, Musicman, Rickenbacker, Yamaha, Fender, Gibson and Epiphone, plus many more. Your local PMT Store is fully stocked with a fully demo-ready PA Centre, with Speakers, Packages and Amplifiers from RCF, Yamaha, QSC, Alto Professional and Bose, plus many more. Also check out our Wireless Microphone Systems from Shure, Sennheiser, Samson and others. PMT is an authorised stockist of Bose Loudspeakers, and our stores feature the portable Bose L1 Compact and L1 Line Array PA Systems, in stock and ready for demo. For those that like a massive stacked backline, or for a quiet home practice amp, we're fully stocked with a wide range of Guitar Combo Amps, Amplifier Heads, Guitar Speaker Cabinets and Accessories like footswitches and cables. Browse the latest Focusrite Gear, Native Instruments, Kali Audio, KRK Studio Monitors, DAW Software as well as a massive selection of MIDI Keyboards, Synthesizers, Arranger Workstations, Sound Modules, Speakers, Cables and Accessories. Everything you need to record and make music from scratch. Many of our staff are now fully trained Akai MPC Specialists for a full 1-to-1 demonstration on the latest Akai Hardware and Software like the new MPC Live and MPC X. We also stock a range of B-Stock, Pre-Used and Second Hand Gear for Music over at our Pre-Loved Bargains section. Get a great deal on the latest music gear today!